Our planet is home to a diverse and amazing range of animals, with more than a thousand species living together in many different habitats. The most fascinating thing to understand is how each animal look, live, eat, prey and adapt. This is why scientists classify animals into groups, by looking at how the animals are alike or different. Animals are usually classified into five familiar groups based on their characteristics: mammals, birds, amphibians, insects and reptiles. We are here to discuss about reptiles. Reptiles are further classified into four main groups: turtles, snakes, lizards and crocodiles. Most reptiles are adapted to live in a specific habitat and they have many shapes, sizes and colors. Reptiles can be huge like a python and an alligator, or tiny, like shrinks. They have vertebrates meaning they have backbones, and they have hard scales for skin to protect them from overheating and keeps water from penetrating their skin. We are here to discuss about the two most dangerous and ferocious species of reptiles – pythons and alligators (or gators). Both are cold-blooded creatures and natural-born killers but belong to the different family of reptiles. While both belong to the family of reptiles, they vary in shape and size, habitat, strength and weaknesses, and so on. Both are formidable predators and which one from the two sits atop the food chain? Let’s take a look at how a python differs from a gator. Pythons are non-poisonous snakes that belong to the family “Pythonidae”, the family of largest snakes in the world, mostly found in Africa, Asia and Australia. They are a family non-venomous snakes consisting of thousands of species found from Australia to New Guinea, Indonesia, Asia to Africa. 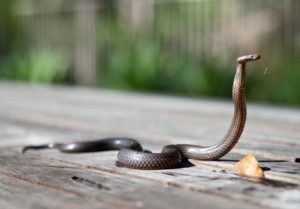 Like snakes, they have long elongated bodies with no legs and short tails. They have no ears so they only sense movements around them, feeling vibrations through the ground. Pythons are large snakes which can grow over as long as 30 feet but there are also some species of pythons that are as small as 24 inches. Most of the pythons have heat-sensing labial pits which help them find their warm-blooded preys like rats, deers, etc. They squeeze their prey to death which is called constriction. Alligators, colloquially referred to as gators, are cold-blooded reptiles that belong to the genus Alligator of the “Alligatoridae” family. They belong to the same family as other large reptiles like crocodiles but are native to China and Southern United States. They are large aquatic reptiles with elevated eyes and nostrils, and powerful jaws. The skin of gators gets thicker with larger scales as they grow. Gators lay their eggs in heaps of leaves which create heat as they rot, unlike pythons, which coil their bodies around their eggs and make their muscles vibrate to keep the eggs warm at all times. It also hides them from their predators. Young gators have a special egg tooth on their upper jaw which helps them cut their way out of their shells when they finally hatch. – Both pythons and gators are cold-blooded creatures and natural-born predators directly related to the family of reptiles. Pythons are non-venomous snakes that belong to the family “Pythonidae” which constitutes the world’s largest family of non-venomous snakes, native to Asia, Africa and Australia. Alligators, on the other hand, are cold-blooded reptiles that belong to the genus Alligator of the “Alligatoridae” family, and are native to China and Southern US. – Pythons have large heads, thin necks and long elongated bodies with no legs and short tails. Nearly all pythons have heat pits on their lower jaw that help them to detect warm-blooded prey at night. They have no ears so they only sense movements around them, feeling vibrations through the ground. Gators have armored bodies with a flat, muscular tail which comprises almost half of their body length. The tail helps them steer in the water and also to hydroplane across the surface of the water. The bony plates inside the skin make them extremely hard to penetrate. – Pythons, like snakes, live in the tropical areas of Asia and Africa. They thrive in wet or dry terrestrial, freshwater and fully marine habitats, where it is normally hot and wet so that their bodies can stay warm. They are mostly found in rain forests, woodlands, grasslands, swamps, shrubs and dunes. Like pythons, gators are also cold-blooded creatures that thrive in freshwater environments such as rivers, ponds, wetlands, lakes, marshes, and swamps. They occupy all temperate and tropical climates except Europe. – The babies of reptiles can only hatch properly if their eggs stay at the right temperature. This is called incubation. Pythons protect their eggs by coiling their bodies around the eggs while making their muscles vibrate to keep them warm so that they hatch in the right environment. Gators, on the other hand, lay their eggs in heap of leaves which in fact create heat as they mature and finally hatch. 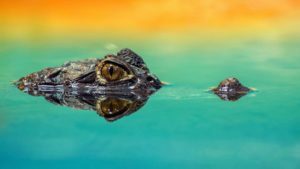 Young gators cut their way out of their shells using a special egg tooth they have on their upper jaw when they begin to hatch. Both pythons and gators are cold-blooded creatures that are adapted to live in a specific habitat where it is normally hot and wet so that their bodies can stay warm. They are mostly found in rain forests, woodlands, grasslands, swamps, shrubs and dunes, rivers, ponds, lakes and marshes. However, pythons coil their bodies around their eggs to incubate them which hide them from their warm-blooded predators. Gators lay their eggs in heap of leaves to incubate them until they rot. Most of the pythons have heat-sensing labial pits which help them find their warm-blooded preys. Gators, on the other hand, have an insanely powerful bite. Sagar Khillar. "Difference Between Python and Gator." DifferenceBetween.net. 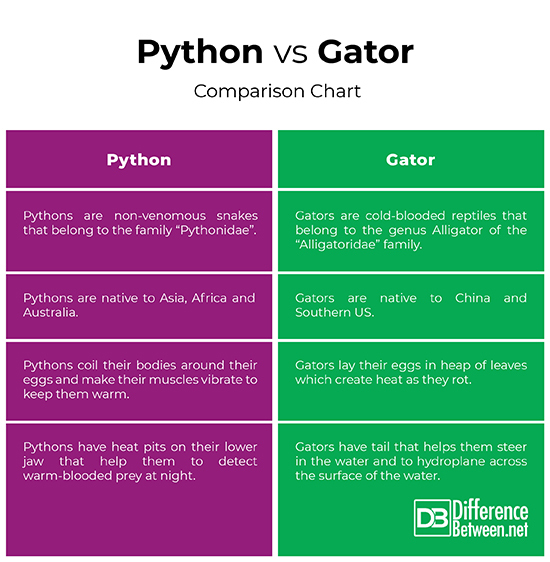 January 17, 2019 < http://www.differencebetween.net/science/nature/difference-between-python-and-gator/ >.